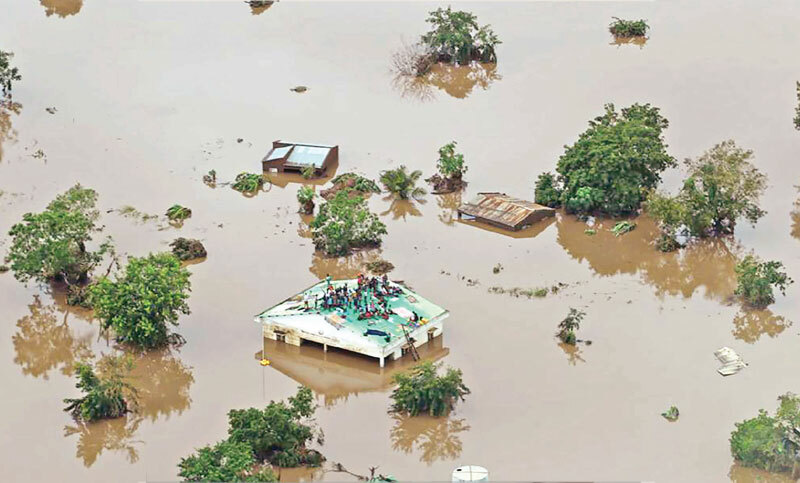 BEIRA: More than a thousand people are feared to have died in a cyclone that smashed into Mozambique last week, while scores were killed and more than 200 are missing in neighbouring Zimbabwe, reports AFP. “The scale of damage... (in) Beira is massive and horrifying”, the International Federation of Red Cross and Red Crescent Societies (IFRC) said. The storm swept away homes and ripped bridges to pieces, leaving destruction that acting defence minister Perrance Shiri said “resembles the aftermath of a full-scale war”. “With every hour and day that passes, our worst fears become increasingly real,” he said in a statement. “Many drowned while others were killed in their sleep from swift and unexpected rockfalls which demolished their homes”.